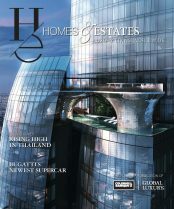 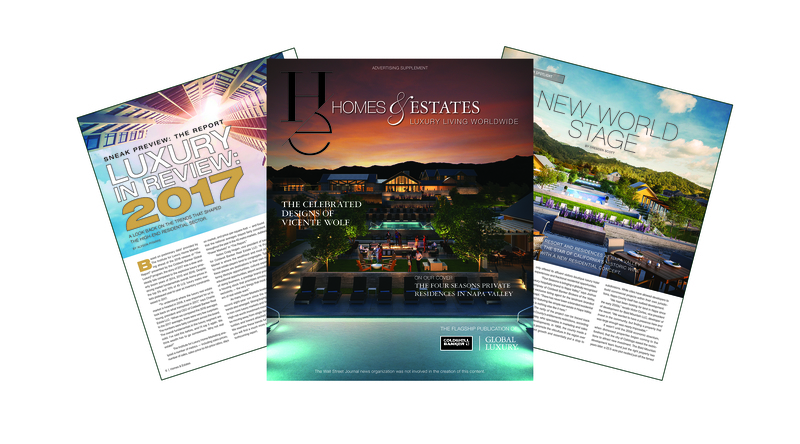 The inaugural 2018 issue of Homes & Estates (a special supplement to The Wall Street Journal) offers yet another entrée into the wide, wide world of luxury. 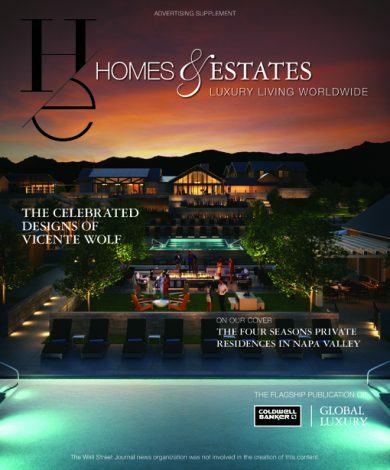 In this issue, we feature an inspiring interview with the globally minded AD100 designer Vicente Wolf, who shared his secrets for following and capturing the light in all types of settings. 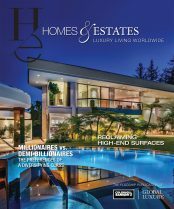 There is also a sneak preview of the forthcoming (and long-awaited) 2018 Luxury Market Report, now called “The Report” presented by the Coldwell Banker Global Luxury® program. 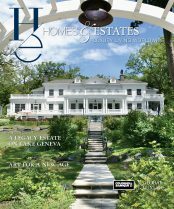 And of course, no edition of Homes & Estates would be complete without an envy-inducing showcase of properties currently for sale. 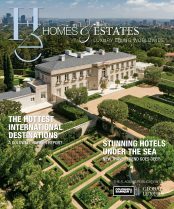 The Four Seasons Resort and Residences at Napa Valley and the $58 million Maison 808 in Beverly Hills are two such properties that have accompanying stories, and give readers a glimpse into the sophisticated lifestyle that awaits them.